Tate Modern presents a major exhibition of the work of Franz West (1947-2012). Organised by Tate Modern and the Centre Pompidou, this is the first posthumous retrospective and the most comprehensive survey of the artist’s work ever staged in the UK. Franz West offers the first opportunity to recognise the artist’s legacy, celebrating West’s astounding contribution over four decades and uniting key and rarely seen pieces from across his remarkable career. His friend and former collaborator Sarah Lucas has contributed to the exhibition by designing walls and pedestals, bringing her unique material language to the display of Franz West’s playful yet profoundly philosophical work. This ambitious exhibition explores the irreverent sensibility and playful approach to materials, colour and form that characterise West’s punk aesthetic. Almost 200 works including abstract sculptures, furniture, collages and monumental outdoor works, are brought together to show him as one of the most influential artists of the past 50 years. An anarchic free spirit, self-taught until the age of thirty, Franz West remained in the shadows of the Viennese art scene for nearly fifteen years before becoming known in the international art world in the 1980s. Today he is regarded as a pivotal figure of contemporary art, whose work continues to inspire younger artists. 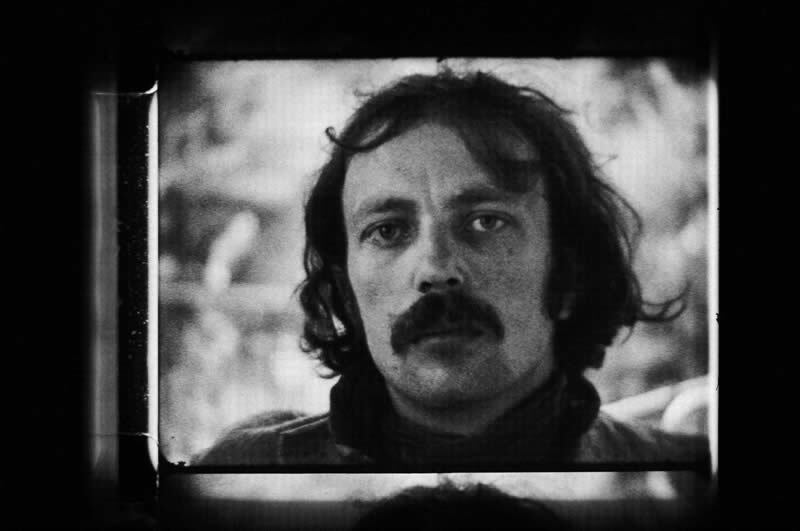 West’s output ranged from lumpy papier mâché objects to installations of divans for viewers to lounge on, from painted collages to outdoor sculptures shaped like intestines and turds. It was at once popular and esoteric, active and contemplative, corporeal and intellectual, philosophical and playful. This new publication ably examines both the artist’s ironic, punk sensibility and his original approach to materials, colours and forms. Also included are examples of his lesser-known drawings and works on paper. 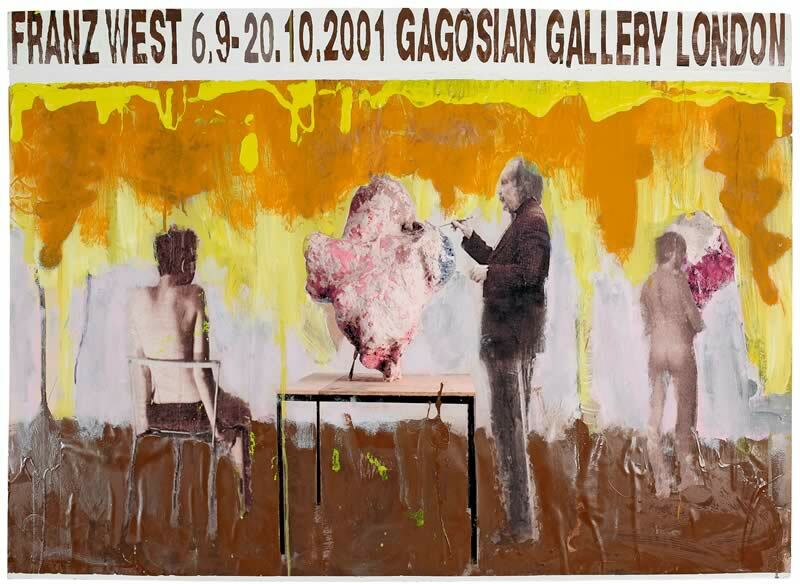 In 2011, West was awarded the Golden Lion at the Venice Biennale and has twice been selected for the Kassel Documenta (IX & X); and, much like his contemporaries Mike Kelley or Gerhard Richter, West has become a key figure of inspiration for a generation of younger artists. Foreword by Frances Morris. Introduction by Mark Godfrey and Christine Macel. Texts by Monika Bayer-Wermuth, Christine Macel, Martin Prinzhorn, and Mark Godfrey. West produced thousands of works over forty years, and this fully illustrated catalogue provides a remarkable picture of the artist’s exceptionally rich career. Further insight into West’s practice is provided through essays by Mark Godfrey, Christine Macel and Martin Prinzhorn, an illustrated chronology, and some thirty previously unpublished testimonies from close associates and friends of the artist, from Kasper König to Bice Curiger and Sarah Lucas. Play and participation were central throughout West’s career. His early series of small abstract sculptures Passstücke (Adaptives), were designed to be touched, worn and manipulated by the public, eschewing beauty in favour of tactile imperfection. Tate Modern shows First Passstück 1978/1994 alongside other important original works from the series, and the installation Passstücke mit Box und Video 1996 where four pieces can be handled by visitors. From the 1980s onwards, this exploration into interactivity inspired West to experiment with chairs and other furniture, sometimes inviting audiences to utilise the art work and become part of it themselves. The exhibition brings together furniture works first displayed in the artist’s pivotal 1989 exhibition at the Haus Lange Museum, as well as later, large-scale installations such as Auditorium 1992, West’s contribution to Documenta IX, and Epiphany on Chairs 2011. The exhibition also includes a large presentation of the artist’s iconic works in papier-mâché. In contrast to the earlier Passstücke, these irreverently named Legitimate Sculptures were not intended to be handled, but do provoke visceral viewing experiences, at times repulsive or seductive. Occasionally these sculptures were created to stand on unconventional or deliberately crude plinths. In one remarkable collaboration to be exhibited at Tate Modern, Heimo Zobernig created oblong pedestals to sit both beneath and astride West’s coarse and riotously polychromatic sculptures. In the mid-1980s and early 90s, West also displayed texts alongside some works, serving as an invitation to reconsider the sculptures in unexpected ways. Redundanz 1986, a complex three-part ensemble is accompanied by an enigmatic text that stresses the difference between language and art as ways of understanding the world. These works, as with all of West’s sculptures, show how his art making was always indirectly related to his enquiries into philosophy and psychoanalytic theories. The exhibition culminates in an explosion of colour, with an array of West’s dramatic aluminum works and a collection of maquettes for the artist’s outdoor sculptures. Six of these monumental structures, including Dorit 2002 a six-metre tall tower in vibrant pink, are installed on Tate Modern’s South Landscape. Further highlights include rarely seen sketches depicting vivid scenes from Vienna’s night clubs of the 1970s and a selection of West’s provocative poster designs. 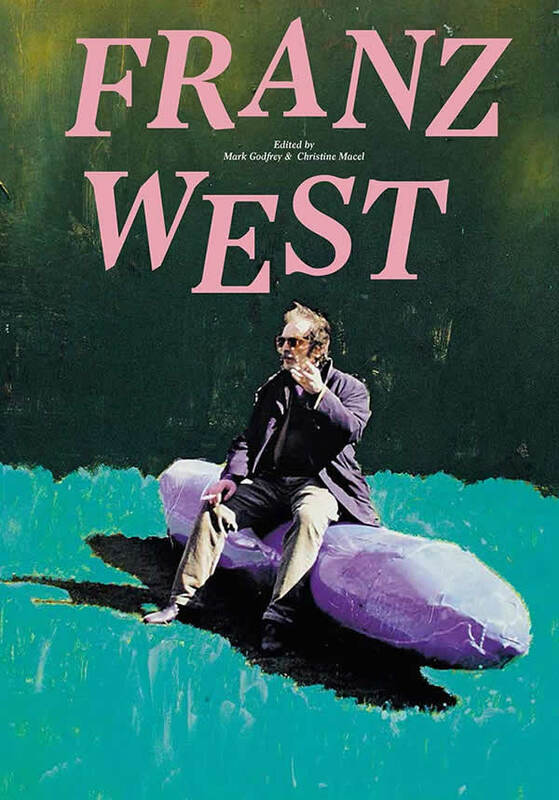 Franz West is curated by Mark Godfrey, Senior Curator, International Art (Europe and the Americas), Tate Modern and Christine Macel, Chief Curator, Centre Pompidou with Monika Bayer-Wermuth at Tate Modern and Loïc Le Gall and Luise Willer at Centre Pompidou. The exhibition is organised by Tate Modern and the Centre Pompidou, Musée National d’Art Moderne, Paris, and will be accompanied by a catalogue from Tate Publishing and a programme of talks and events in the gallery.